Apologies for the delay but finally here’s the latest episode in Doff’s dream saga. 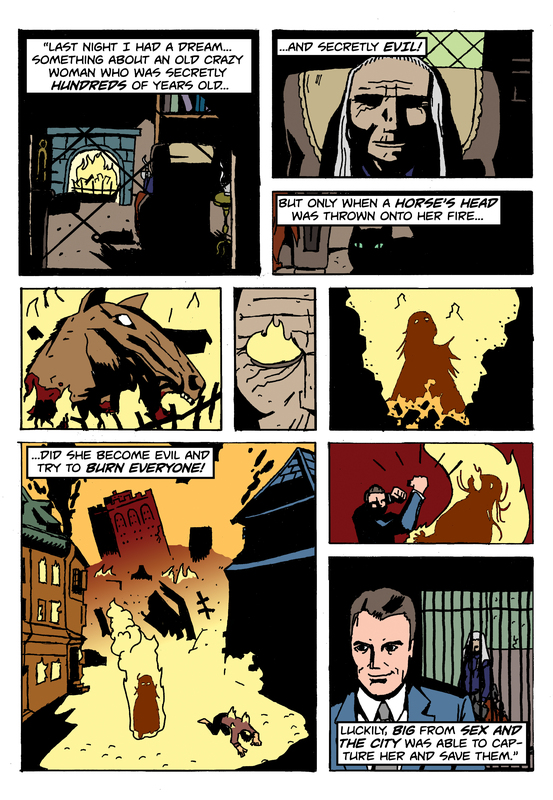 Click the comic for a larger view. Despite spending several hours wrestling with channel settings to get the colours to come out how they looked in Photoshop, this was a fun one to make. Plenty of swiping from Mike MIgnola’s drawing style and Dave Stewart’s colouring as I tried to mimic their tone for this little story. I’ve also been reading the DC Comics Guide to Colouring and Lettering Comics by Mark Chiarello and Todd Klein which I can’t recommend enough. Layout thumbnails, notes, and inked page after the jump.